Hundreds of thousands of moustaches around the world face the chop this evening as Movember draws to an end, meaning Club Website will be a much smoother place tomorrow morning. 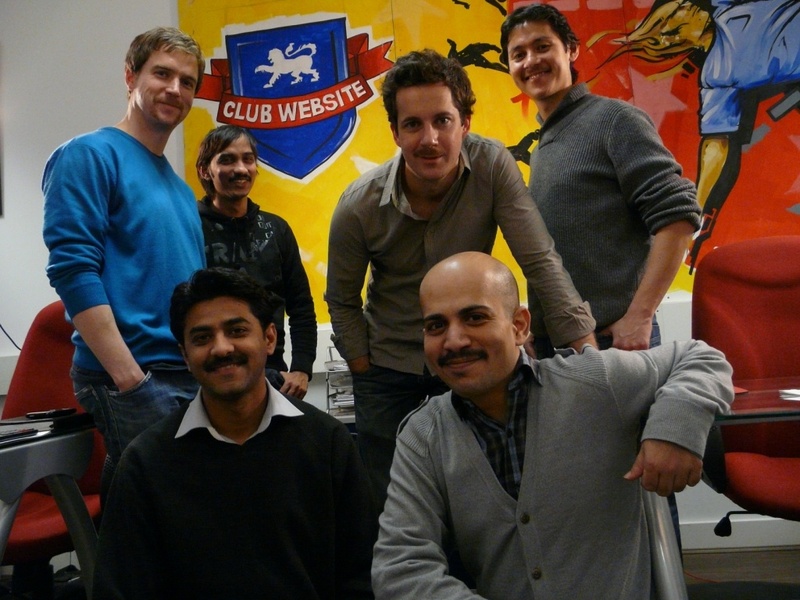 For the last 30 days, the guys in Club Website HQ and our fellow Mo Bros around the country have been growing moustaches to raise money and awareness for men's health. Around 20 people have been actively mo growing and fundraising as part of Club Website's Movember team and, as the month draws to a close, we've raised over £2,600 for The Prostate Cancer Charity (TPCC) and Everyman, the men's health campaign from the Institute of Cancer Research. We'd like to say a huge THANK YOU to all of our Mo Bros in Team Club Website and to all those of you who have donated to the team or one of its members. Prostate cancer is the most common cancer in men. One man dies every hour from the disease in the UK, so every single penny raised through Movember is going to a fantastic cause. We're delighted to have helped raise as much money as we have, but the fundraising doesn't need to stop here. Not to late to donate! Movember may be over but if you'd like to help support TPCC and Everyman it's not too late. You can still make a donation via the Movember website, where you can also check out the wonderful grooming that's been going on for the last 30 days! Any donations, no matter how small, would help make a difference and would be very gratefully received. If you would like to donate, please visit uk.movember.com/mospace/392268 and click on 'Donate to my team'.